Is there any more feared news from your Placerville dentist than hearing that you need a root canal? How about hearing that your tooth cannot be saved with a root canal? Where there is a root, there is a way — a way to save your tooth! If it makes you feel better, you can also call a root canal procedure endodontic therapy. Whatever you call it, it helps a lot to know exactly what it is and why you need one. 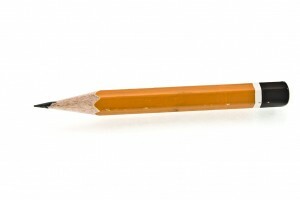 A pencil cannot get infected, but your teeth can and root canals save them from extraction. A tooth needs root canal therapy when it becomes decayed and infected deep inside. If you think of your tooth as a pencil, you need a root canal because the pencil lead has become infected with microbes. Now imagine carefully removing the pencil lead, making the hole a little bit larger, then cleaning and filling it with a substance that preserves the strength and shape of the pencil. In your tooth, this is done by opening the root with tiny files, reshaping it, cleaning and decontaminating it with irrigating solutions and then filling it with an inert material to maintain strength. Finally, a crown is placed on your now bacteria-free tooth. Your tooth will last for anywhere between a number of years to forever, based on your own dental hygiene and the amount of damage done before therapy. Tooth sensitivity to hot or cold liquids. These symptoms may or may not be present with an infected tooth. Microbes and infections also show up on dental x-rays, so regular visits to your Placerville dentist are vital to arrest tooth decay. Most importantly, remember that root infections don’t just go away — your body cannot fight an infection in the root of your tooth, because your immune system cannot reach deep into the pulp. Left untreated, root infections are a danger to your tooth, your gums and to your general health. The infection must be removed as soon as possible. With anesthetics and sedation therapy, a modern root canal can be accomplished with very little stress or discomfort. Soon, any swelling or pain in your mouth will leave as your body heals the tissues surrounding the tooth. Regular visits to the Placerville Dental Group can possibly make your first root canal your last root canal.